Robino & Galandrino is the world's leading manufacturer of secondary closure equipment for still and sparkling wine, spirits, olive oil, and vinegar. Robino & Galandrino’s continuous improvement philosophy has resulted in several industry leading closure dispensing and application innovations. Robino & Galandrino specializes in secondary closure dispensing and application machines that operate from 40 bpm to 800 bpm. Secondary closures include tin, poly-laminate, and PVC capsules, wirehooders and pleater/crimpers for Champagne and sparkling wine. 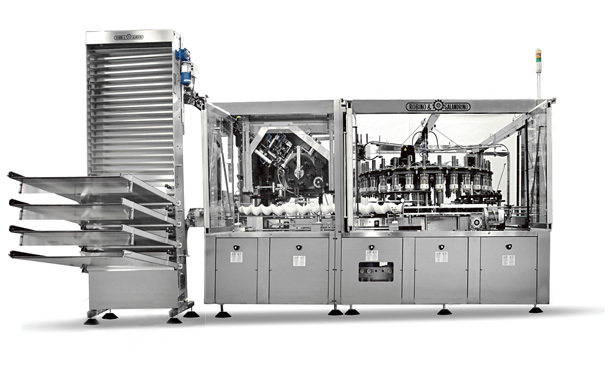 Robino and Galandrino’s patented cam-actuated capsule dispensing system, optical bottle centering system, bottle neck drying system, and patented new generation spinning heads, are examples of their industry leading innovation.